– Apples are filled with soluble fiber (5 grams). This fiber has been shown to reduce intestinal disorders, including diverticulitis, hemorrhoids and possibly some types of cancer. It helps control insulin levels by releasing sugar slowly into the bloodstream. It cleanses and detoxifies, which helps eliminate heavy metals, such as lead and mercury. – Apple pectin helps reduce cholesterol levels by lowering insulin secretion. – In two studies researchers found that eating five apples a week lowered the risk for respiratory diseases like asthma. – According to Chinese Medicine: Apples strengthen the heart, quench thirst, lubricate the lungs, decrease mucous and increase body fluids. – Apple cider vinegar can help prevent the formation of kidney stones. 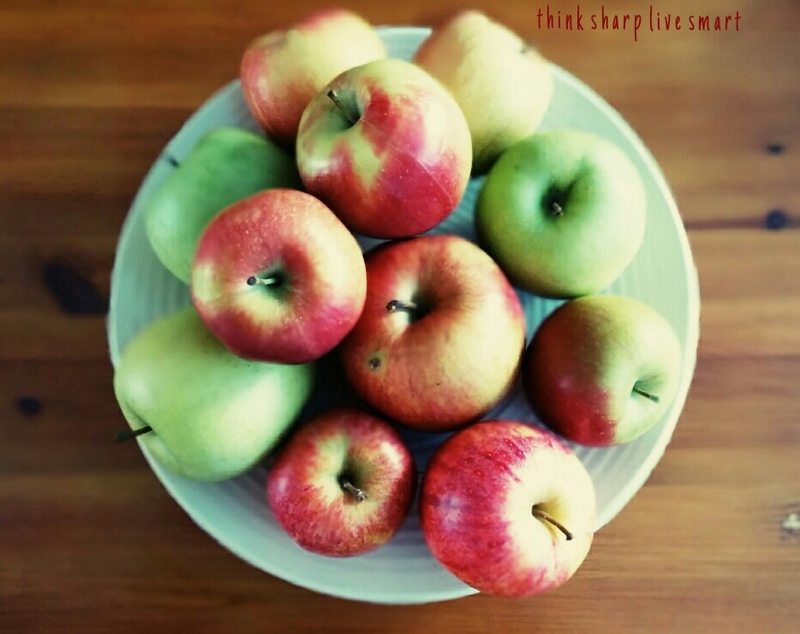 – Studies indicate that eating apples daily can reduce skin diseases. – An apple has only 50-80 calories and has no fat or sodium. – Apples are packed with vitamins C, A, and flavonoids and with smaller amounts of phosphorus, iron and calcium. – Apples provide a source of potassium which may promote heart health.